On December 15th at The Islington we’re presenting a special pre-Christmas treat, a unique evening of rock nostalgia. 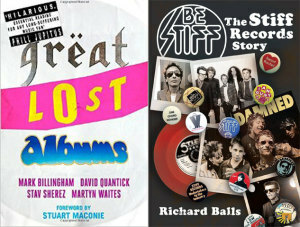 On this night Mark Ellen and David Hepworth will be joined by David Quantick and Mark Billingham, who’ll be talking about their new book Great Lost Albums, which finally sheds light on such fabled cult items as The Coldplay Ikea Sessions and Bob Dylan’s collaboration with Liberace. They’ll also be sharing real-life confidences about their adventures and misadventures with rock stars. David Quantick is an award-winning comedy writer who’s worked on shows such as The Thick Of It and Harry Hill’s TV Burp. He recently fronted his own Radio 4 series David Quantick’s 52 First Impressions in which he recalled some of the strange encounters he’s had with famous people. Mark Billingham is the best-selling writer of the Tom Thorne series of crime novels and has also worked as a stand-up comedian. As an actor he played one of the baddies in TV’s Maid Marian and Her Merry Men. 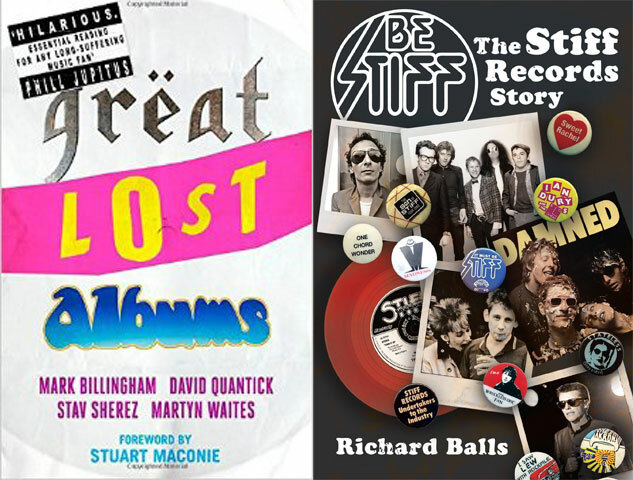 Adding further to the fun that night will be Richard Balls, who’s just written Be Stiff, a history of legendary independent label Stiff Records, and he’ll be telling us about Wreckless Eric, Elvis Costello, The Damned, Nick Lowe and numerous other memorable pop legends. We are also delighted to announce the appearance of The World’s Foremost Beatles Authority and WIYE alumnus Mark Lewisohn, who will be talking to David Hepworth about the latest volume of his mammoth Fabs biography. Mark Ellen and David Hepworth will be your masters of ceremonies and it will be their job to ensure this is the most anecdote-packed evening you’ve ever spent in a pub. It will be recorded for a Word Podcast and you will be able to download it at wordpodcast.co.uk.